This cake combined all of the Birthday Girl's favorites! 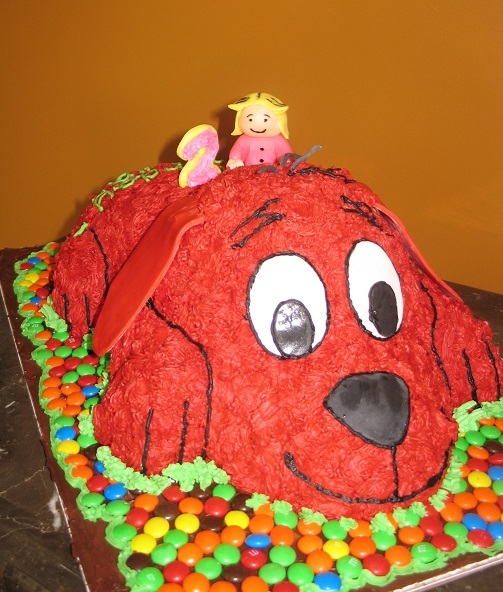 Chocolate Cake, M&Ms & Clifford, the big red dog! !